We are thrilled to be able to offer you this brilliant EURO 4 Norton Commando 961 SPORT ABS. One private owner, fully serviced and ready to go. Low rate finance is available on this bike, credit subject to acceptance. Norton's fantastic 961 cc parallel twin naked roadster. One private owner from new, this bike boasts a full dealer history and is offered in excellent condition. A brilliant hand-built motorcycle, built in the UK. The Commando 961 SPORT was built to replicate the old style Norton's with all modern components and engineering whilst maintaining a classic appearance and style. Dual seat and ABS fitted as standard, plus it is Euro 4. The dual seat option gives the rider and pillion seat as well as a single seat configuration. The easy to attach single seat cowl quickly turns the bike back into the stylish single seat form. 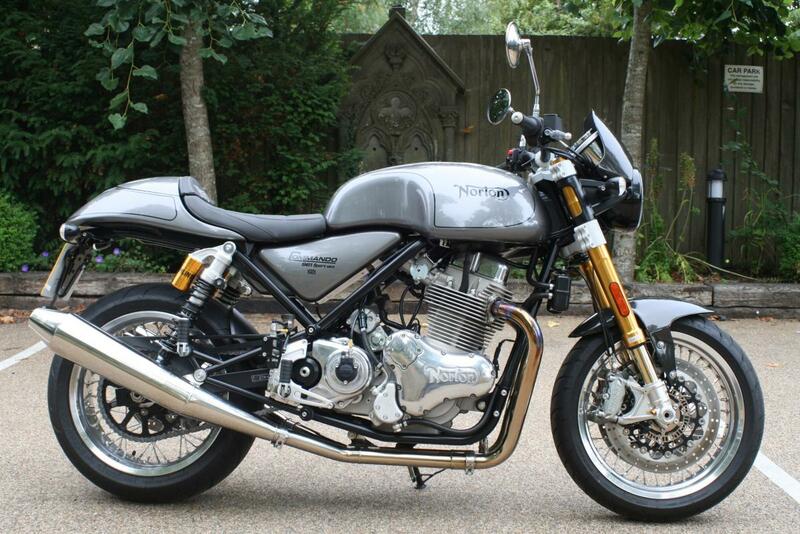 Looks superb in Titanium Grey and comes with Norton's Short Open Pipes and a De-Cat pipe. Looks good and sounds brilliant. Low rate finance is available on this bike, credit subject to acceptance. For a no obligation finance quote, please call 01747 811196 and select option 1. Thanks for looking! !